The Pimsleur Method provides the most effective language-learning program ever developed. 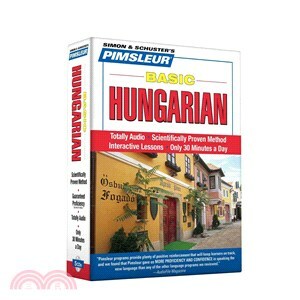 The Pimsleur Method gives you quick command of Hungarian structure without tedious drills. Learning to speak Hungarian can actually be enjoyable and rewarding. The 10 lessons in the Basic Hungarian are the same as the first 10 lessons in the Pimsleur Comprehensive Hungarian Level 1. The 10 lessons in Basic Hungarian are also the first 10 lessons in the 16-lesson Conversational Hungarian edition.